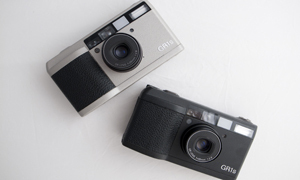 The Ricoh GR series of cameras are great, but what are the differences? This is something that I get asked an awful lot, so I thought I would put together this little guide for you. It should give you an idea about the differences and what to look for. The Ricoh GR series of cameras has to be one of my favorite. There is hardly a more iconic compact camera than the Ricoh. The design is so simple, yet so effective and it has influenced the design of the modern series of GR Digital cameras from Ricoh. The GR was originally released in 1996 and was the recipient of the TIPA award for best compact camera the following year. I like to refer to this time as the ‘compact wars’ as Ricoh, Contax, Minolta and Nikon battled it out to make the best compact camera of the age. While I like to think there is no clear winner apart from the customer, I am not alone in thinking that Ricoh managed to produce a camera that has become a semi-icon in the modern camera age. 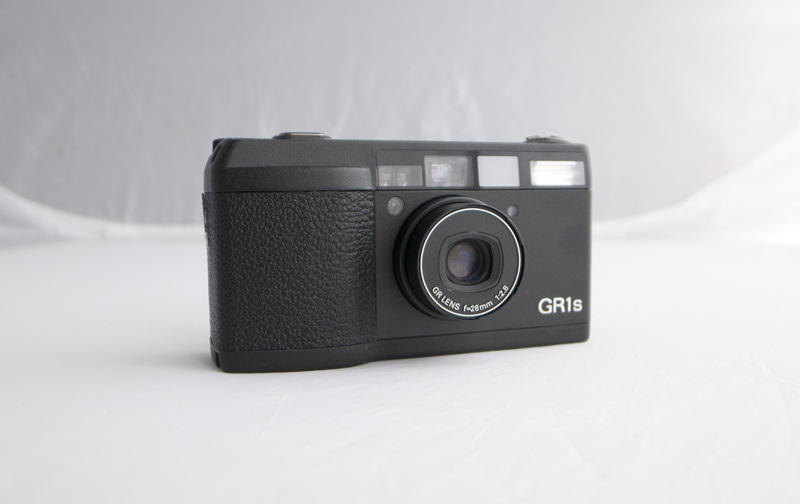 When the original GR1 was released it marked a big leap in the idea of a compact camera. 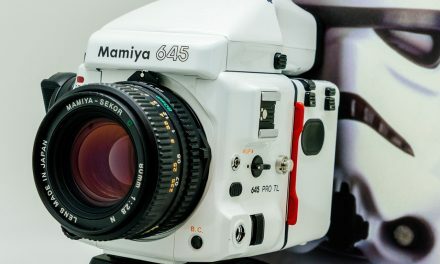 The camera features a 28mm f2.8 lens, display readout with the settings and the film counter, Multi subject autofocus and a 1/500th top speed. All this in a magnesium body that weighs only 175g. This was the idea camera for slipping into your pocket and shooting whenever you needed, but not having to compromise with a poor quality lens. The GR1 has become harder to find over the years and now to find a mint one you are looking at about $400, sometimes more. The next evolution in the series was the GR1s, which was introduced in 1997. The differences are so minor that you could be forgiven for not even noticing them, but they are there. 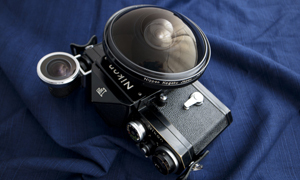 The lens was given an uprated coating and a mount was fitted on the front of the lens so that you could use Ricoh filters. The display was also given an illumination feature, which was a huge improvement. Apart from this nothing changed, as it seems that they pretty much got it right the first time around. Same lens, same body and same sleek lines. The prices are about the same too. This is the one that everyone asks me about. What is the difference between the GR1s and the GR1v, because they look the same. Well, they may look the same, but they are not the same. The GR1v was given some subtle but significant improvements over its little brother. Chiefly among them is the ability to set your iso manually (DX override). This is huge, as before you would have to mess around and tamper with the DX code on the film if you wanted to push or pull, but now you can select in camera. Another improvement was the changed to the manual focus mode, giving you more control over the camera. Now you can set 1m, 2m, 3m, 5m and infinity. This is a big improvement and helps the photographer get more out of the camera. The final improvement is the auto bracketing mode that was added. This is not a deal breaker for me, but for some photographers it is a big deal. So, this is why this camera is more expensive, usually around $600 for a clean one. Now this is the big one, the daddy, the final incarnation of the GR film line. The GR21 is a different animal from the rest of them. 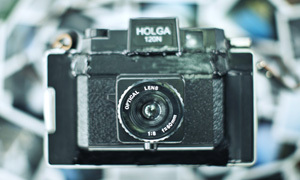 This camera was the first compact camera in the world to have a 21mm wide angle lens. The lens is an aspherical 21mm f3.5 multicoated piece of perfection, so good that they made it into an M-mount lens. You can tell a GR21 from a distance, because the lens sticks out even when the camera is switched off. All of the features that were developed on the previous models were included in this model. The camera is a little bit bigger than the GR1 due in part to that stunning lens. Supposedly only 4000 or so of these cameras ever made it into production, and they are reputed to be hard to find. But I can and do find them pretty often. The average price for one of these beauties is going to make you weep though…at least $1000 and that is if you are lucky. Like any camera, the GR is prone to faults and does need to be taken care of. They are hardy little cameras and can take a bit of a beating, but you should still make sure you are using a wrist strap and not dropping it down the toilet or something. There are some problems that are specific to the camera and can be noticed pretty easily. The LCD has a habit of breaking. But, this is not always the end of the world. If the numbers are faded, switch on the camera and leave it switched on for about 20-30 minutes. This sometimes fixes the problem and the screen comes back to life. If this doesn’t work then you are going to need to get the screen replaced (more about that later). The motor on these cameras is not all that strong and it doesn’t last forever. You can usually tell if it is on the way out by the noise. If the camera is clicking or it is very noisy then the chances are that your motor is going to conk sooner rather than later. The eyepiece is a simple rubber piece that is screwed on to the body of the camera. Over time this piece becomes worn and sometimes falls off. You can find replacements on junk cameras or you can have them replaced properly. Another common one. The foam baffle on the film window inside the camera wears out. Well, it is a piece of foam, what do you expect. If you are savvy with crafts you can replace it yourself, or you can have it replaced by the pros. *UPDATE* As of mid 2014 Ricoh ceased all service for these cameras. I am afraid there is no longer a service option for them. Sorry for the inconvenience. Consequently I no longer source these cameras as I don’t want to find someone a lemon. Thanks for your understanding. Don’t forget to comment, tell me what you like about the Ricoh GR, or what you don’t like, but please comment. I heard volumes on this legendary line from Ricoh with it’s cult like following! Which actually spurred me on to pick one up from you a month or so ago. It is now my go to camera when I’m going out at night with friends! this lens is sharp as a tack! Thanks a bunch mate! I just sent you an email inquiring about pricing just last night. Thanks for this, Bellamy! AMAZING timing on this article. Was just contemplating one of these beauty’s but wasn’t sure of the differences etc. I used to work in photographic retail in the UK and got the chance to handle (and actually use for myself) a whole host of high quality compact cameras that competed at the time in the “compact wars” – Contax T2, T3, Tix and TVS, Leica Minilux, Minilux Zoom and CM, Nikon 28Ti and 35Ti, Olympus mju II and the Minolta TC-1. But the camera I rated above all these was the GR1 series. The build quality and features were exceptional, but most of all the lens quality was outstanding. In my opinion the 28mm f2.8 GR lens outperformed the Zeiss Sonnar 35mm f2.8 found in the T3. I loved the GR series so much I bought a brand new GR1v, which got more use than my Nikon F100 with expensive Nikon primes. In fact I still own it now and it still gives great results. I don’t think I’d ever sell it! Definitely the best compact film camera ever made. I’ve had my original GR since it came out in 1996, sadly, I don’t use it anymore. But it’s nice to see articles like this. Bellamy, I sent you a mail to inquiry for GR1 price in Tokyo but you were about to leave to LA and I forgot to come back to you after your trip. I luckily found a GR1v (http://www.flickr.com/photos/woodsbarrack/6993219429/in/photostream) at Kitamura that was not so expensive but showing signs of use (like a few scratches here and there, etc). I’ve been looking for one around Shanghai for several months before that with no luck and I must say I’m more than happy with it. I carry it about everywhere I go. The SNAP mode is awesome for Street photography and the lens gives really great results. Thanks for talking about this camera or sharing images if it, I guess that kind of convinced me I should be able to get one during my last trip to Japan ! If only Ricoh can produce a digital camera more similar to the GR series like the Fuji X100. 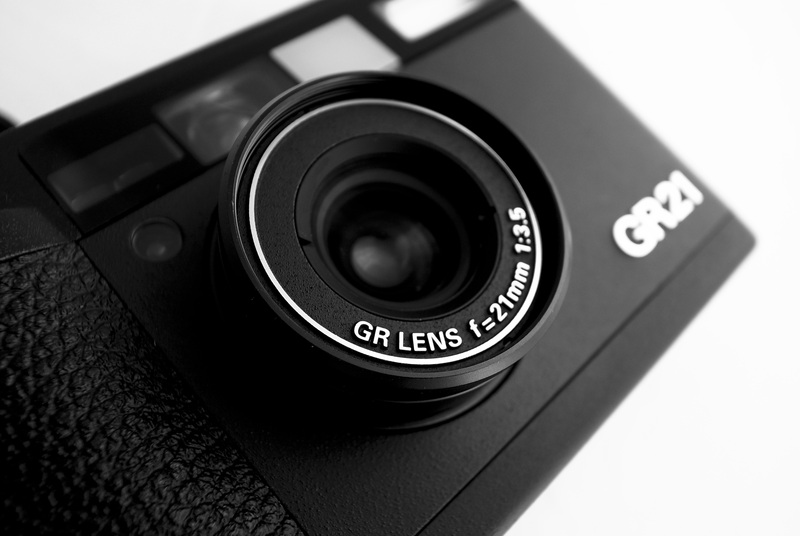 The GRD is nice pocketable digital camera but it compares nowhere near its film predecessor. I have a question regarding the lcd problem being infamous with the GR series. Once you have the lcd serviced will it fix the problem forever? Or you will have to expect that in the near future you will then again experience lcd failures? Bearing in mind that many of these cameras are over 15 years old it is perhaps unsurprising that there are LCD failures. Obviously repairing it will not fix it forever, but it will be good for a long time. Ricoh give a 6 month guarantee on all repairs and they are very good at what they do. I have never had anything come back after being repaired. does anyone know how much Ricoh would charge to repair the motor of the GR? Mine has died yesterday and i would have to send it in from germany (don´t know about repair in europe). How common is this problem? Cheaper to find another camera? I can get them replaced by Ricoh on Japan. It usually costs about 10,000 yen. So it is still cheaper than getting a new one. Send me a mail and I shall give you the details. Nice article. Thanks. Good to know they can be repaired pretty easily. Picking up a fully boxed black GR1S tomorrow! Got it for the bargain price of £200. Can’t wait. Means if I want to shoot film on a night out I don’t need to worry about taking my M6 and can take this instead. I know I’m going to really enjoy it. Recommend any good colour films to use with it? I’ve got some Portra 400 and Ektar 100 that should look really nice with that sharp lens. Anyone know how much it costs to replace the eyepiece? I have just bought a second hand GR1v and the eyepiece is loose. Can a user replace it easily or should it be done by an engineer. Thanks. Finding the parts is the hard thing. If you get it done by an engineer you can have a check up and service at the same time to make sure your GR1v runs like a dream for the next few years. Soooo finding one in Japan and shipping it to Texas, how much are we looking at in USD? for the GR1s or GR1v. I have a Ricoh GR1 and the shutter is off. If you have an address where I can get it fixed, thank you. Ricoh Japan do not fix it anymore. Nice to find your web site. I bought a GR1 when they first came out and used it for five years before it developed a bizarre problem. If there is no film in the camera, it easily locks focus, center, side, whatever, at any distance, and holds that focus while I release the shutter. However, if I put film in the camera, even though it initially locks on a focus point, it loses focus once I push the shutter release all the way. Only once in ten years have I seen anyone else describe this problem, but no solution was given. I love this camera, but about 75% of the time it loses focus it just had. Can you help? I have a near mint condition GR1 except for the eyepiece. Mine is the silver one and the beige rubber was wearing off the eyepiece. I tried to scrape it all off to make it entirely black, but broke the part where the screw goes in. I believe the eyepiece would be the same for GR1 or any of its newer variations. Where in Japan would I be able to find this part? A shame that so few of the gr21 were made. Much as I loved these cameras, I wouldn’t buy one now because the electronics are just plain sketchy. Especially when you consider how much they were new. I’ve had several cheap Olympus Miu variants (which take a pretty decent photo – not as good as the GR1, but good) and they’ve continued to work flawlessly despite clumsy and reckless handling and the passage of time. I received a GR1s as a graduation present from my Mum when I finished university in 2000, and because of the price of the camera (it seemed an awful lot of money to me then) and the emotional attachment, I babied the camera and must have only put 30 or so films through it in all that time. It rewarded me thusly: first the LED segments became faint and sometimes wouldn’t show-up at all, the in about 2011 the shutter stopped firing mid-way through a roll of film. Just a click and whir of the film winding, but no shutter and no photo. These are technically great cameras, and I really like the size, aesthetics and the lens, but the build quality is absolutely awful otherwise they would have lasted longer. My main film camera is a 1980 Pentax MX I bought twenty years ago. Despite some minor foam rot, it still works perfectly. And with the 28mm prime lens, it does take photos as well as the Ricoh. I’m in need of desperate help. I’ve just got back from a six week long trip in the states and mid-trip my Ricoh GR1s decides to fail me. It seems the shutter doesn’t want to fire anymore, when pressing down on the button it takes about five seconds to make it’s mind up, and then when it sounds like it’s firing the shutter doesn’t actually open. I don’t suppose anyone has any idea if this is fixable and around how much it’s going to set me back? I love my gr1s,bur after two years of love it has failed me. The Lcd has gone… Ill look at that fix above, but even worse is that not the power button doesn’t work to actually turn it on. I found a way to do it by taking out the battery, then putting it in, and it then automatically turns on. The power button also works to turn off, but yeh on it just just doesn’t work. Need a repair place, I’ve heard ricoh Japan no longer does it – does anywhere else?? Just came across your article on GR’s. I have a GR1 just sitting around. It seems there may be a market out there for excellent condition GR1’s like mine. Where would the best place be to market my GR1, E-Bay? Hi Don, please email me about your GR1, interested buyer here.. thanks. I seriously love these cameras. i had two so far and looking to get a third one over Christmas. I have a GR1 that has not been used for over 10 years. Put a new battery in tonight and it now has a non working LCD. The display inside the viewer seems to be working. I am going to list it on ebay, but if anyone here, with knowledge of how to use this without the LCD, is interested in buying it, please let me know. Does GR10 had similar issue to the other three brothers? Since you not mention them even a bit in the articles. Please let me know if you do.. I have found a repair centre that have serviced and repaired my Ricoh GR1V. LCD fault was no problem for them also. I had a GR1 and I sold it for spare parts. the camera unfortunately had every problem mentioned here. the lcd, the rubber thing, the broken motor. after having rearranged my archive the last two days, I have seen pictures I took with the ricoh and only now I realize its superb quality and sharpness. a good article for a very good camera.